Product performance- - - Light weight, easy to fold,store and carry, can be used as a gift to family,friends. Material Appearance - - -Upgraded polyester fiber material. Non washable ,color fidelity, not easy fade, artistic effect stereo sense of strong. Occasion- - - Indoor shooting,wedding,party,club,festivals,video,TV live,YouTube,digital photography . 1、Roll it up tightly with a cylinder, and waiting for 3-4 days. 2、Puff the Wrinkled backdrops with a hair dryer for 3-5 minutes(by hot wind). Normally: Due to the different color calibration of each computer screen, the background screen may be slightly different from the picture display color, hope you can understand. If you have any questions, please email me anytime. We will do our best to provide you with the best service and reliable products. Your advice will make us better . Product performance- - -Light weight, easy to fold,store and carry, can be used as a gift to family,friends. Material Appearance - - -Upgraded polyester fiber material.Computer-printed ,color fidelity, not easy fade, artistic effect stereo sense of strong. High quality- - - Durable, anti-wrinkle, wipes easy to clean, non-reflective. Occasion - - - Indoor shooting;wedding, party, birthday party, festivals, video, TV live, YouTube, studio,club, event or home, digital photography background;newborns, children and product photography (depending on the background). 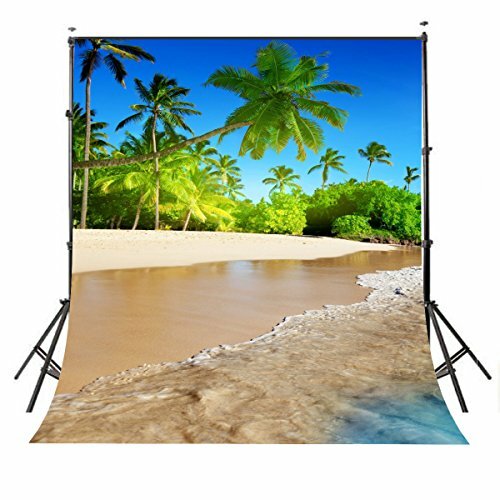 Factory Direct - - - Factory strength, has a very advanced high-tech digital production equipment, specializing in the production of digital pictures, inkjet pictures, can produce different sizes of the background cloth.